​We owe a HUGE debt of gratitude to the individuals and companies on this plaque as our earliest and founding fans and supporters. These friends believed in our vision from the very early days of this venture. These wonderful and kind friends helped out in our infancy and stuck with us. They have always supported the enormous potential of this space. To these friends we give a warm hug of thanks. And, as founding patrons, you will always have a special seat in the theater!! 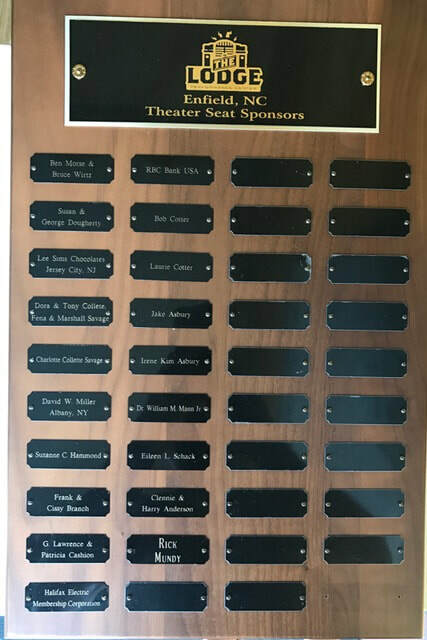 Your names will be inscribed into each and every program as our Founding Fathers (and Mothers) and your generosity and commitment will be honored at EPAC.